Wayne Tachera, a cowboy for Kahua Ranch, lets the ranch's herd of horses out of the coral after spraying them with a fly repellent. In the distance, one can see the ocean. 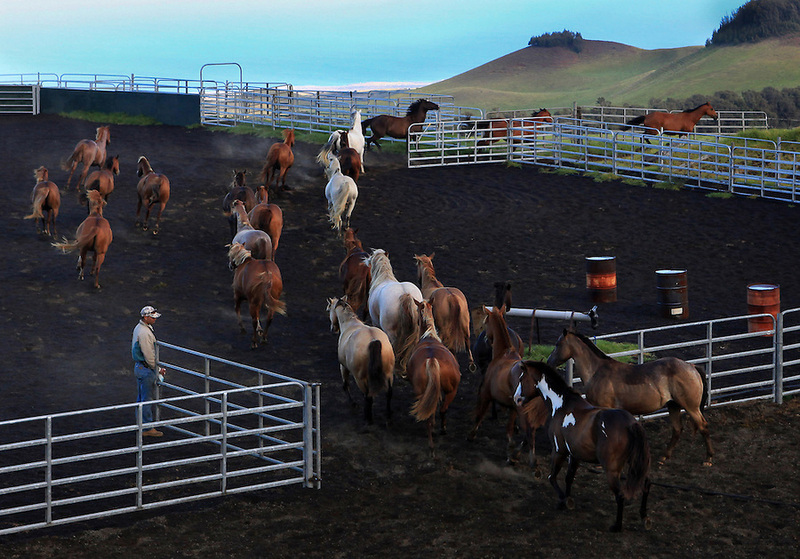 The ranch is located at 3,000 feet above sea level where some of the best grazing lands are.